Why exhibit at SITEVI 2019? 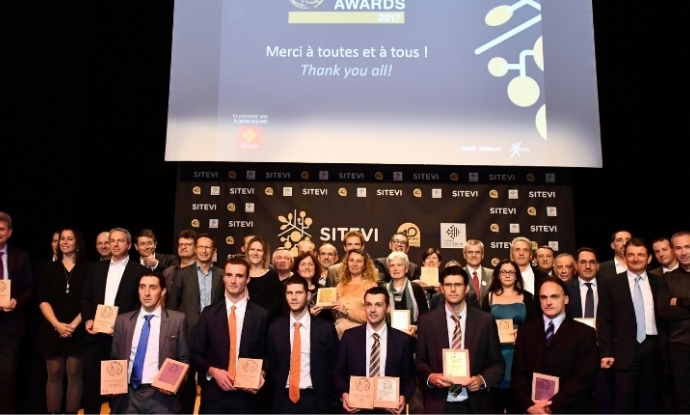 Participate in SITEVI Innovation Awards 2019, the opportunity for exhibitors to present their innovations with a recognized jury. An internationally-renowned competition which rewards the most innovative equipment, products, techniques and services presented by the show’s exhibitors. Exhibitors and co-exhibitors at SITEVI 2019 with a product, service or technology that constitutes a genuine breakthrough in their sectors. A dedicated communication kit for the show, a special mention in the visitor documents and a presentation of your product in the Innovation Gallery. Step 1: Register online in 2 minutes! Visit your “customer zone” and purchase the article SITEVI Innovation awards. Within 48 hours, you will receive an email giving you access to the SITEVI Innovation Awards secure web platform. A high-resolution photo of the product, piece of equipment or service.